Growing up around yachts yields Matt the unique ability to guide you in the right direction. Matt Woods is a Fort Lauderdale native that has been boating his whole life, mostly in the Bahamas and Florida waterways. He loves fishing - with Hawaiian sling or rod and reel - wakeboarding, or just simply cruising. Matt attended Florida Atlantic University where he received a degree in both business management and marketing. He received his yacht broker's license at the early age of 21 while attending college and formed M & M Yacht Brokerage and focused on selling quality center consoles. Once Matt graduated college he started working in the family business at Woods & Associates Yacht Brokerage where his father has 40 years of brokerage experience. In 2012, Matt decided to extend his services to the company clientele and offer marine insurance and obtained his insurance license. 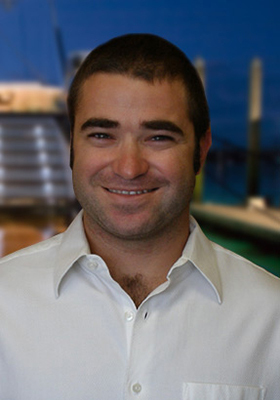 The combination of growing up around yachts and being involved in the yacht brokerage and insurance brokerage profession yields Matt the unique ability to guide you in the right direction.